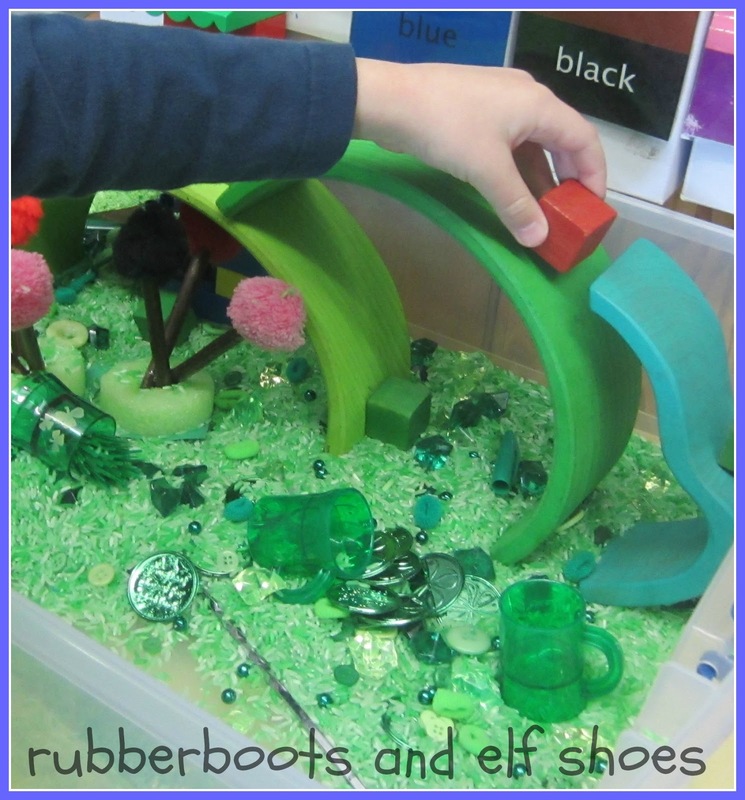 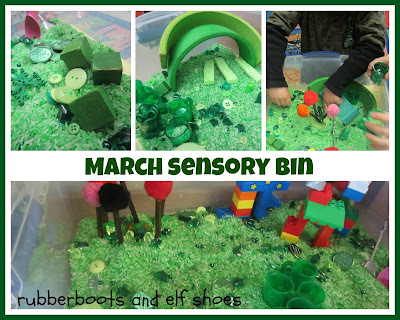 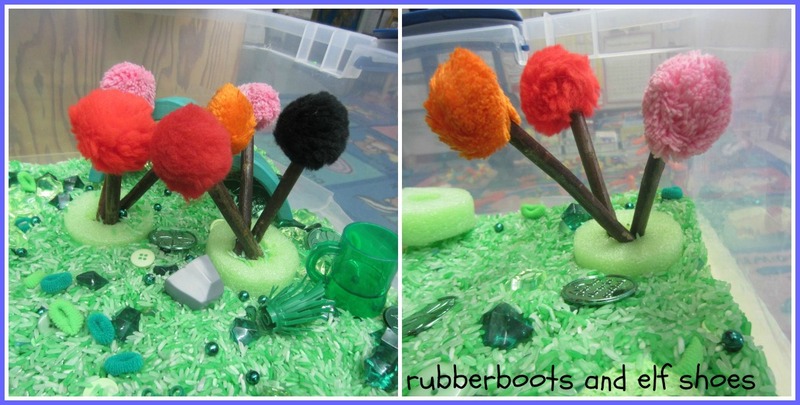 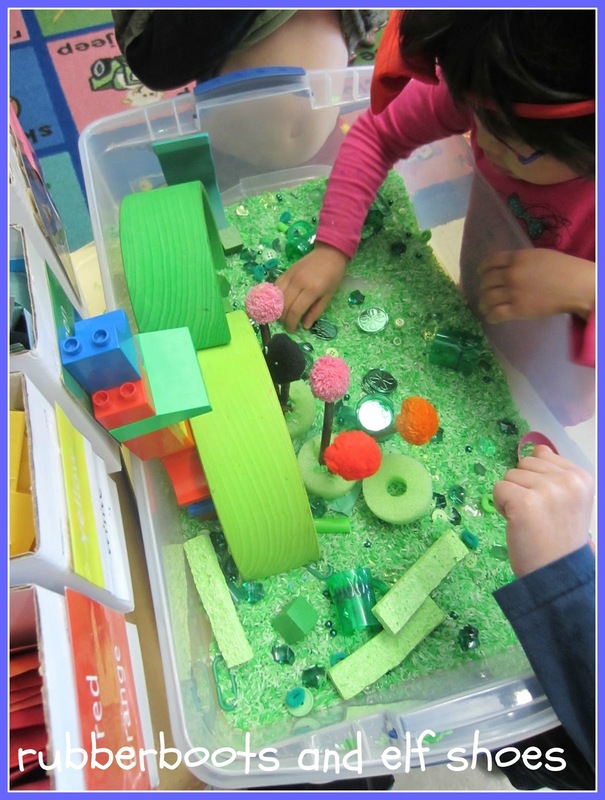 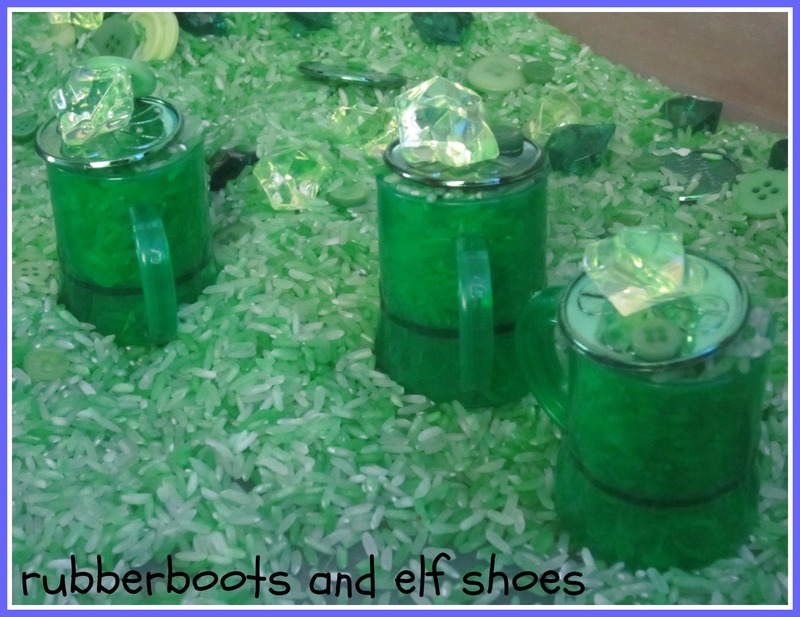 Green is the perfect colour for a March sensory bin. 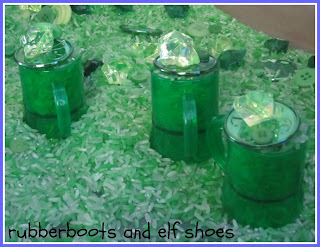 Lots of St Patty's Day fun - and some Suessian elements just for good measure. 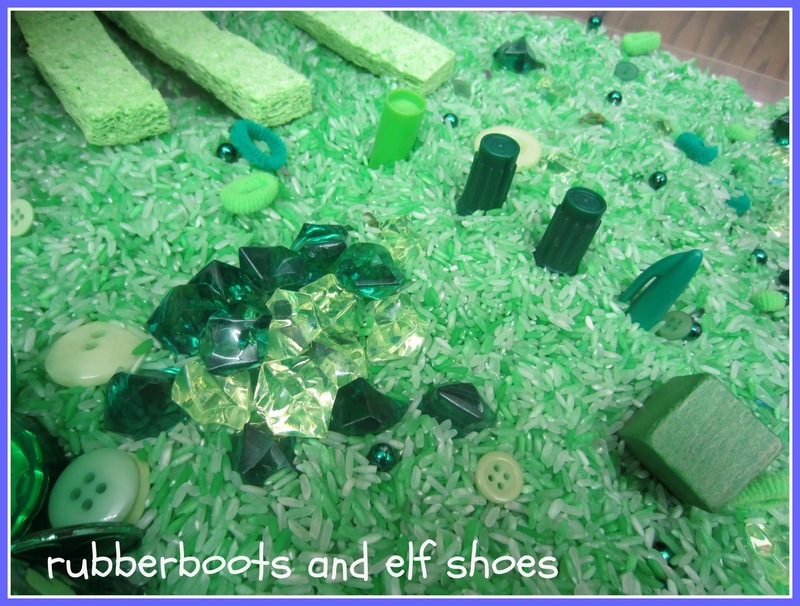 All ready for the kidlets to add the essential ingredient - imagination. 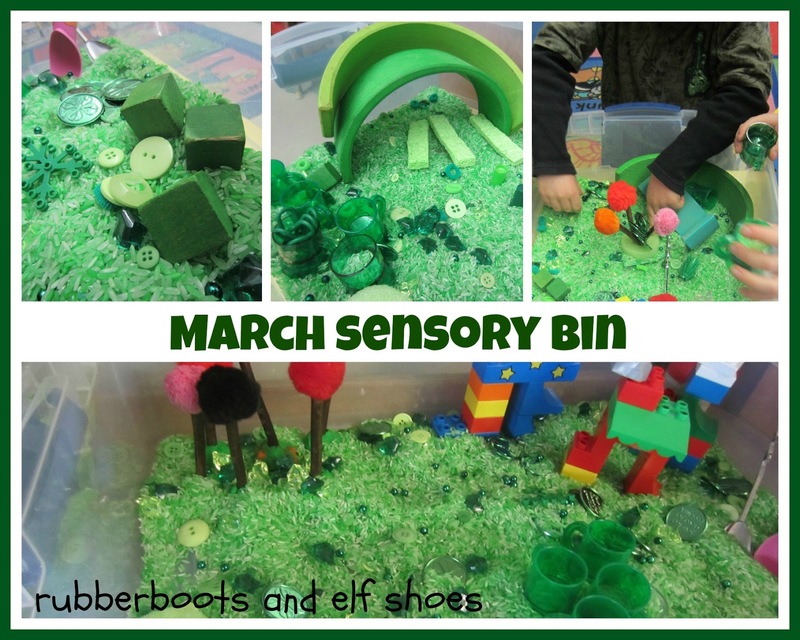 I just love all your sensory bins. They are wonderful! Thanks for sharing your great ideas and creativity. 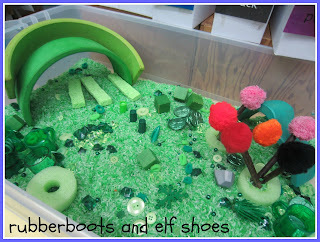 This looks so much fun! I love all the greens - perfect for Spring.